In Transformer Corner Part 3, I looked at how to choose materials for a custom HV transformer. One way was to pull stuff from the junk-box – I did this in my early Prototype. The much, much better way was to use an off-the-shelf core with documented specs. Let’s look at winding up the transformer. It’s amazingly easy to get a workable result! In Transformer Corner Part 2, I looked at the power supply used in my early Prototype, and showed how to determine the key requirements for the HV transformer. Now, let’s see how I could choose the materials and design the transformer – without any pesky mathematical formulae! 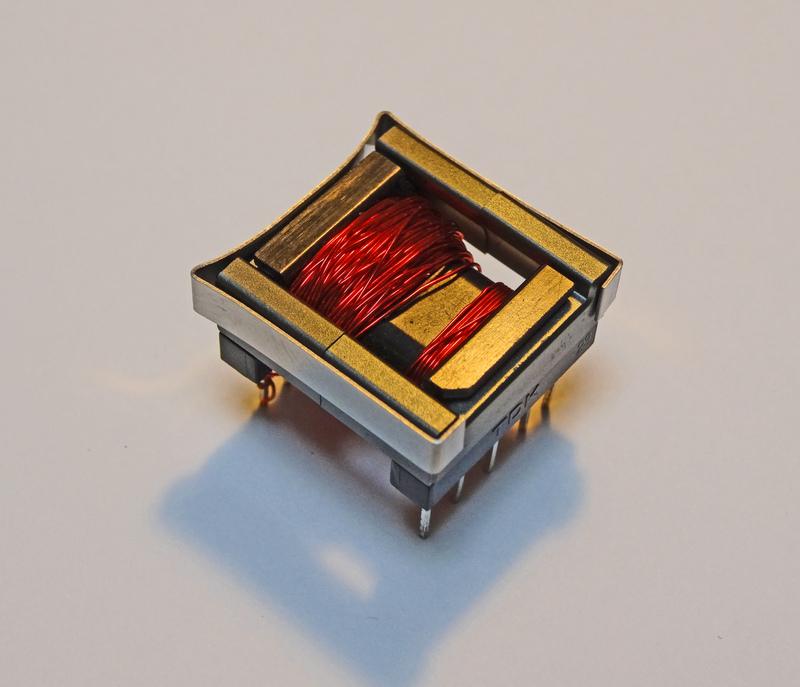 The end goal – a hand-wound HV transfomer! The first challenge was to find a suitable core from my junk box. First off, recall from Part 1 that this couldn’t be iron (too ‘slow’ for 151 kHz), and it couldn’t be air (too ‘weak’ for 25mA). I suppose I could have tried plastic, milk, or even beer – but I knew better. I knew about a substance called Ferrite. In Transformer Corner part 1, I introduced one of the key parts of the Oscilloclock – the HV transformer, and tried to illustrate some of the concepts and history behind it. Next, let’s explore the Prototype’s power supply configuration. This will tell us a lot more about the transformer I had to wind! The atmosphere at Oscilloclock.com has been charged lately. Mails have been pouring in from folks who want to generate high voltage for their CRT projects, but have instead ended up with high tension from frustrated attempts. The primary culprit? Lack of a decent HV transformer. CRTs require high voltage, to coax electrons out of the electron gun and then accelerate them towards their fiery demise at the screen. 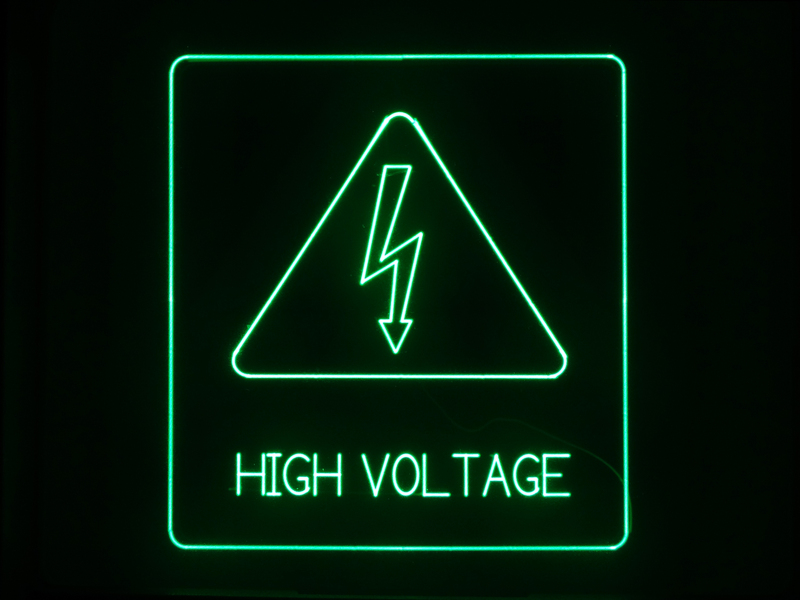 This voltage can range from hundreds of volts for small tubes, to tens of kilovolts for large tubes! In the case of the Prototype and Model 1 CRTs, around 3kV was needed. My Oscilloclock needed 3kV to draw this!